The design combines manufactured tapes with handmade needle point fill. 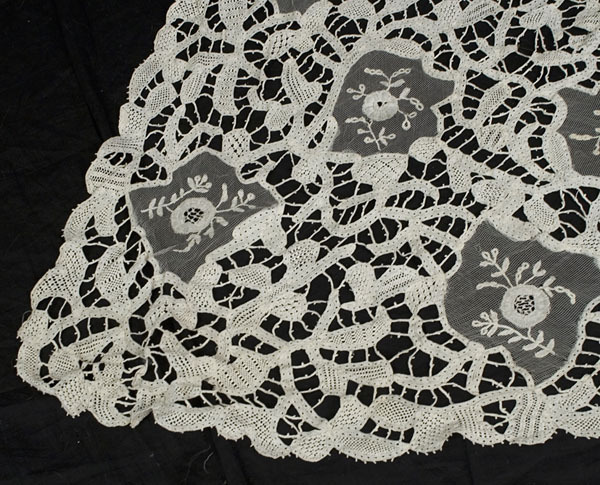 The net ground inserts are appliquéd with princess lace flowers. 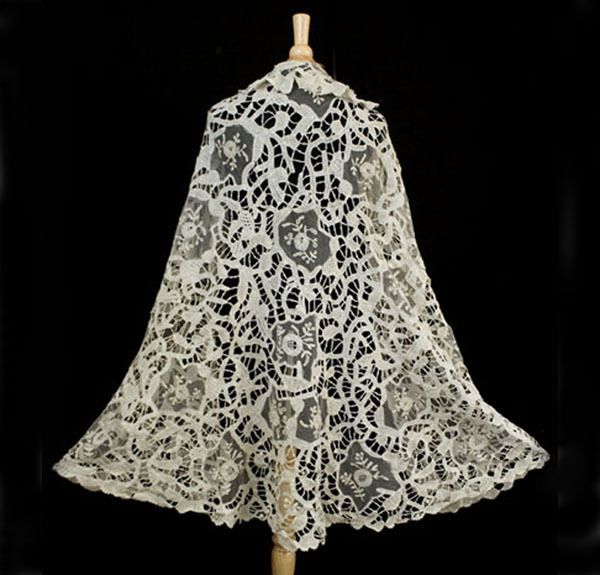 The shawl has a soft, supple drape. 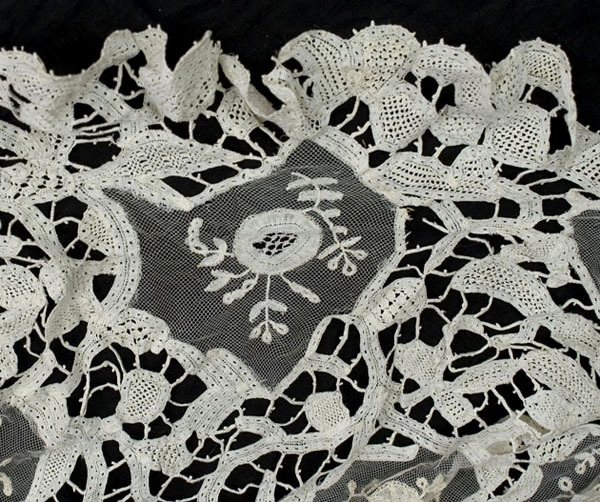 Worn as a shawl or as a wedding veil, it would be a unique wedding accessory, the "something old" on a bride's special day. 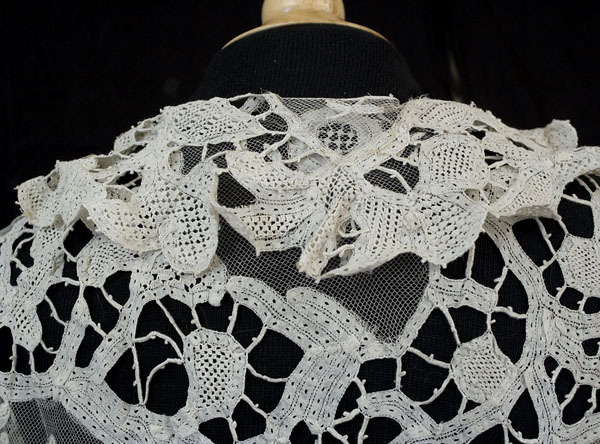 In the first two pictures below, I tried to capture the ingeniously crafted ruffle of the top edge, which forms a graceful collar when folded over. The shape was built-in when the tapes were assembled. 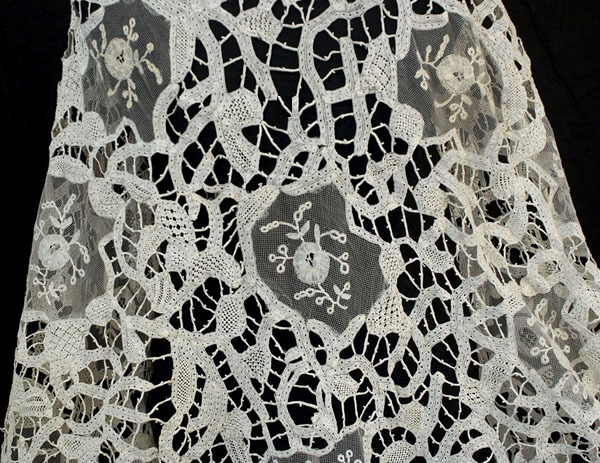 The airy lightness of the intricate lace design is a wonder to behold. You could not own a more romantic and beautiful "instant heirloom." 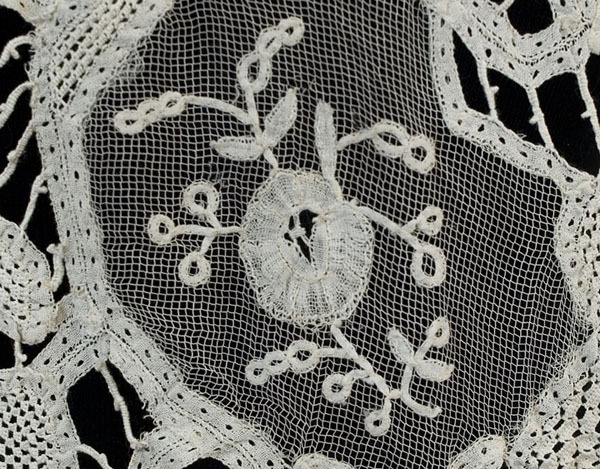 It is as wearable today as it was over a century ago. 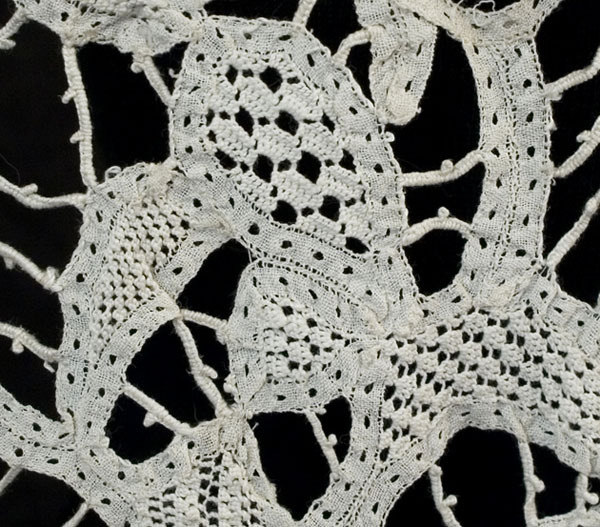 The shawl has a rounded, triangular shape. 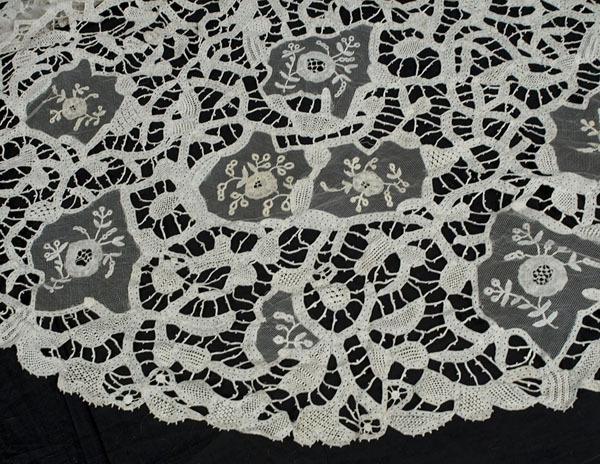 The shawl is 44" long at the center-back and 68" wide.